Just a few clicks and couple of minutes is all that it takes to configure ACQUIRE Live Chat solution to your website. It all starts with a firm decision of making your website more user friendly and approachable. The foremost and first important step will be navigating to the home page of Acquire.io and navigating to the top right corner for trial. Once there on the page you will be able to see the “Try for Free” button, click on it. Now Comes the interesting part of signing up and filling up the details to the help us better analyze your need and help you onboard. Here, it would request you to enter your Full Name, Company Name and would also ask for a Business Email here. Then, you can create your own Password and tell us your company size and your role in that company. 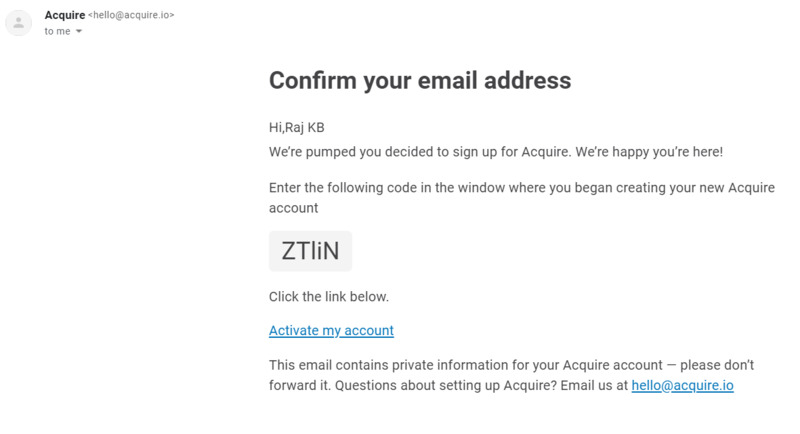 Once, you are done with filling up the details and proceed, you will be sent a Verification code to your email, which you will have to enter on the screen and proceed. As soon as you complete the verification, the very next window will be a portal to Personalize your welcome message and theme. The next step would be to add agents to your account. Adding agent under your account would allow them to pick the chats coming to your website. The next step after adding the agents to your account will be passing the code to the source code of your website. 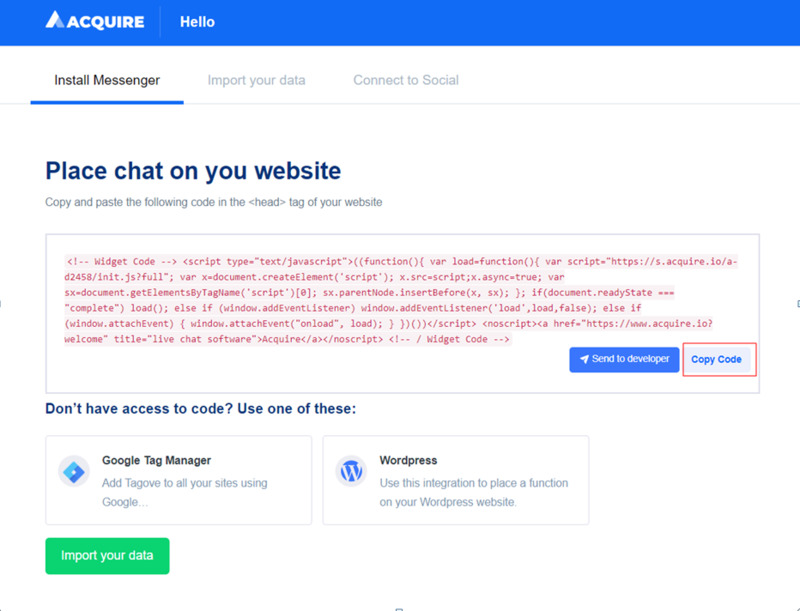 This code here, needs to be copied and pasted in the header tag section of your website and Voila the Chat services will be up and working. 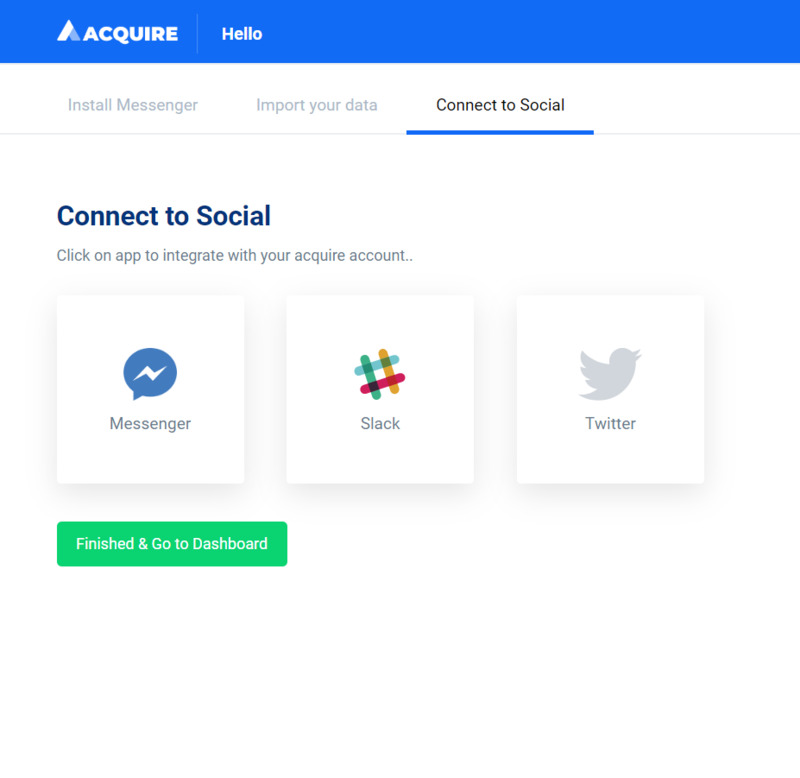 After this if you have already data saved in your different platforms you can integrate them as well by clicking on Import your data and also you can connect to your social platforms if you wish. For more info regarding this you can refer Integration section. 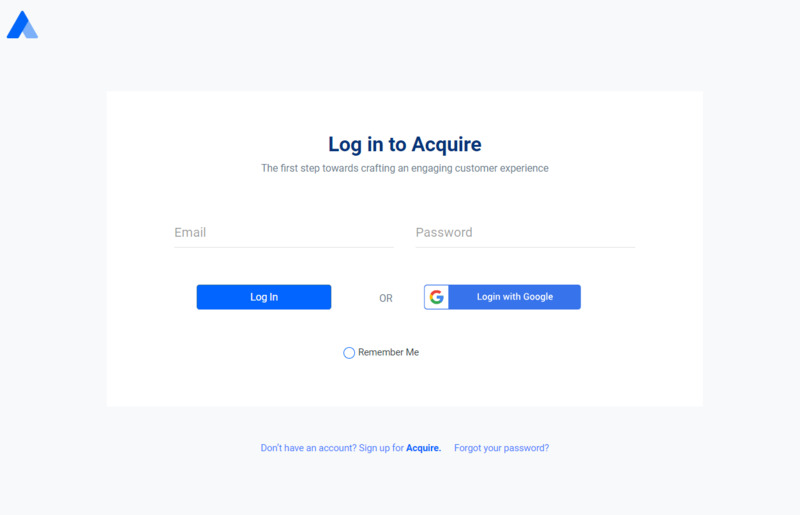 After a successful integration the next step would be logging into you account here at https://app.acquire.io/ and signing in with your credentials to access our Dashboard to pick up the chats and access all the functions. 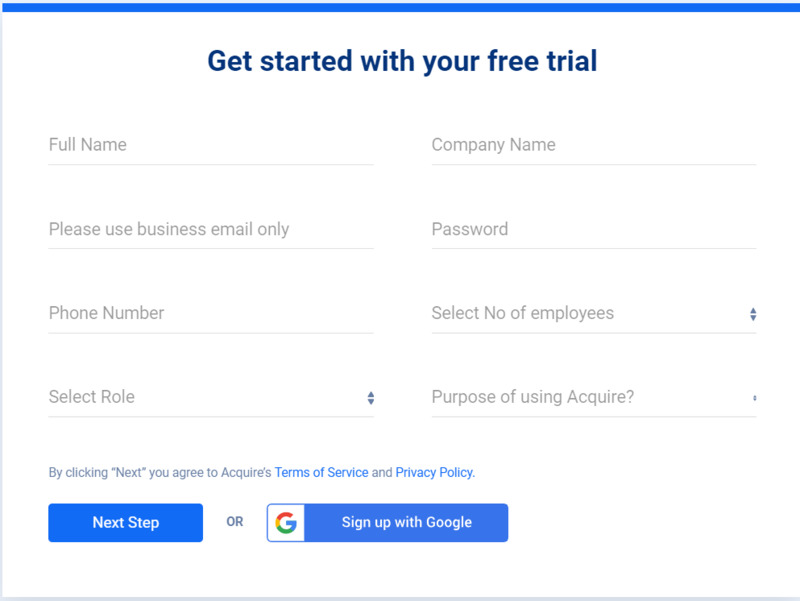 Here, you are all set to Rock with our Acquire Live Chat Software.The dashboard has the link to your personalised test page, “Let’s Go” will take you there !